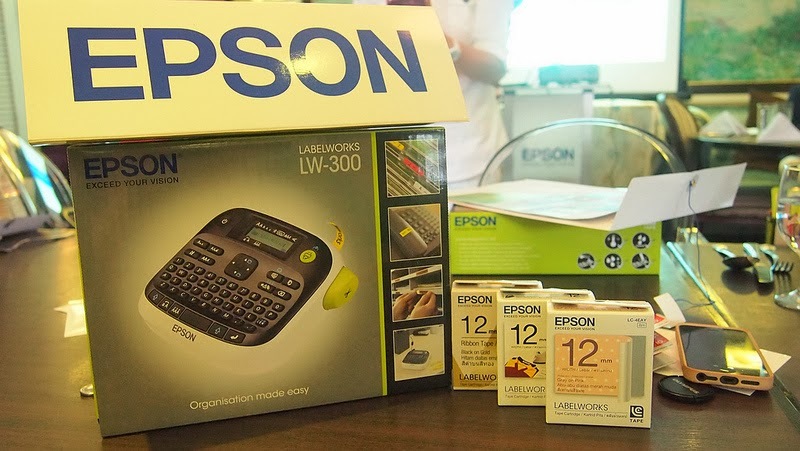 An Epson Giveaway for the OC and Crafter in You! 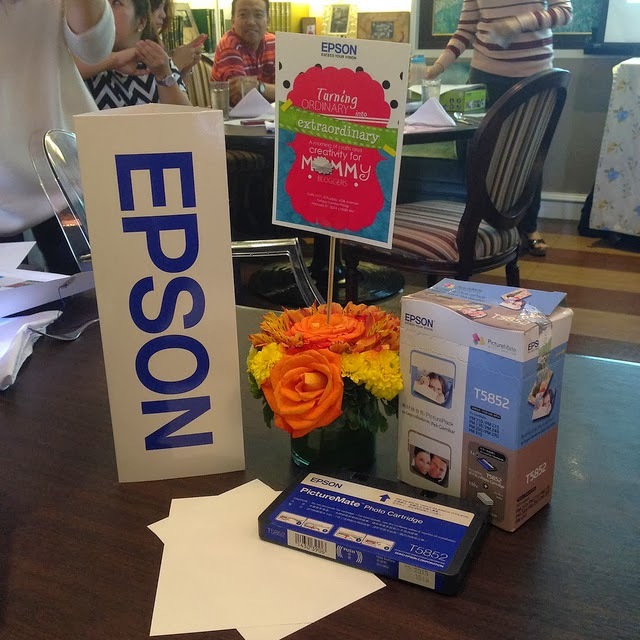 I was so happy when Epson invited the SoMoms to the launch of their new line of products. And you'll know why in a bit! 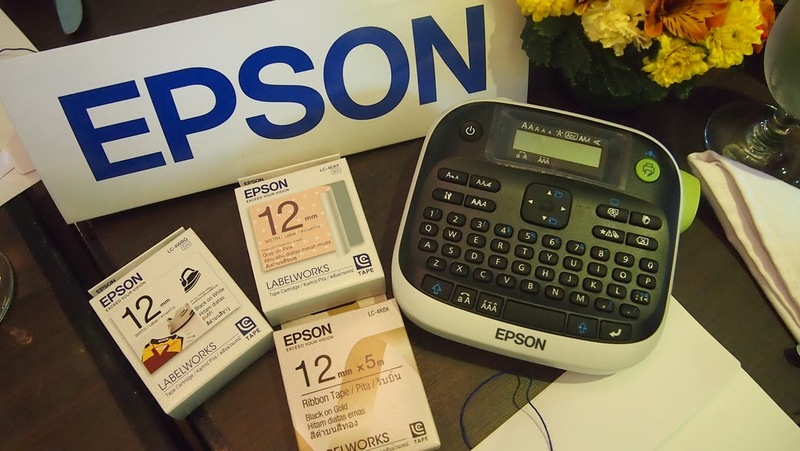 Epson not only introduced their new products Labelworks LW-300, Labelworks LW-400 and PictureMate PM245 but they gave us each a Labelworks LW-300 to play with the take home! All of us moms were giddy and excited! The Labelworks LW-300 may look a little bit intimidating with all the buttons but it's actually easy to use once you get a hang of it. Here's Janice and Tina figuring out the Labelworks. Tin and Noemi also all serious with theirs too! 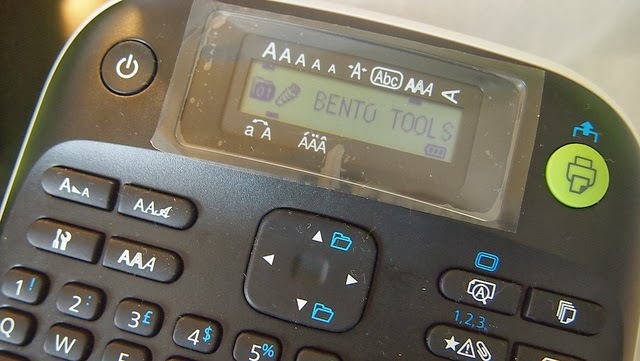 What makes me so giddy about this labeler is it has 40 font types, 10 font styles, 89 frames and 23 symbols categories - there's one for your office, household, fruits, etc.! Say what?! As what I posted in my IG: "I will label everything at home. Humanda kayo"! Ahihihi! There are different kinds of types you can buy. Iron on tapes, ribbons, tapes with designs! One tape (like the ones in the photos) is already included when you buy the Labelworks. Here's a sample of the riboon tape! This is the perfect gadget for any OC and crafty moms like me! So when I got home, I started my labeling escapade! Experimenting on the font style! I also did some of the pantry, our monthly bills, and my crafting supplies. 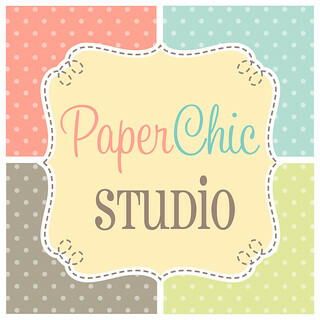 Planning to do our Paper Chic stock here at home too! There's also Labelworks LW-400 which has a few new features than the Labelworks LW-300. But it works essentially the same! I know that I'm not alone when I say that I have tons and tons of photos in my phone that I want to print but don't have the time to go to a photo developing shop to have it printed. The answer to that is the PictureMate PM245! We were also given one PictureMate each as a surprise! Woot! No more excuse not to have our photos photos printed. I can print anywhere anytime and at high quality prints at that! That's not the only thing that's so great about the PictureMate! It's easy to set it up. No need to plug into your computer. Just plug to your electric outlet and press power and follow the instructions in the user's guide! EAsy peasy! The Epson Claria Photographic Inks are vibrant, long lasting, lab quality and prints up to 200 years! Put the ink cartridge in, lock and wait for the printer to finish charging for 3.5 minutes! The 2.5" tiltable LCD let's you view and choose the photos you want to print. It prints at 37 seconds per photo! It's also costs lower to print with Epson PictureMate, each picture pack (Php 1,200) prints up to 150 4Rs! No more going to to the mall just to print photos, you can print at the comforts of your home! "Mommy, why is my photo not here?" Wait anak, we'll print yours later! Just go the Rafflecopter Widget below! Oh and please don't forget to comment with the proper phrase and indicated your real name! Or if you can't wait for the giveaway, you can purchase a Labelworks or PictureMate yourself. Just visist www.printers2go.ph or email printers2go@gmail.com! I WANT PICTUREMATE AND LABELWORKS! because I am OC in organizing my stuffs. I WANT PICTUREMATE AND LABELWORKS for so many reasons: Picturemate will help me express-print my almost 10 years worth of digital photos that I filed over the years! Labelworks so my kids and I can actually begin labeling boxes and crates of their old stuff and many supplies/items they bring to school, plus I like the feature of printing personalized ribbons for gift-wrapping. I WANT PICTUREMATE AND LABELWORKS! coz I would be needing that awesome tool in our small home office, no more post-it notes which is quite costly. 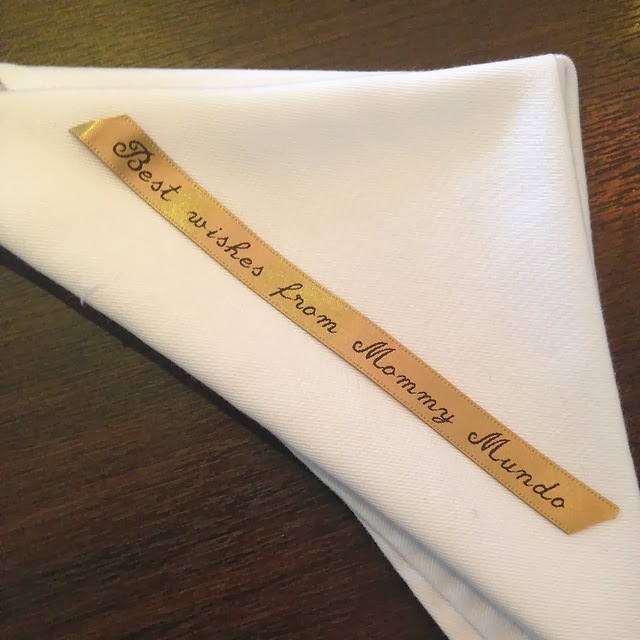 I love to put personalized messages that goes with our gifts so it would be very useful. I have been wanting to create an album for my little girl from the day that she was born up to present but printing would be very expensive so if I win everything would just be a breeze. I WANT PICTUREMATE AND LABELWORKS cos I am an OC person who likes to arrange and organize all the things that I use for therapy for my students at the center. 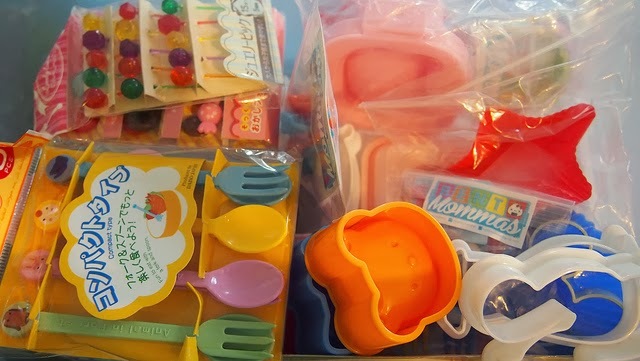 All the writing materials, pegs, buttons, and other toys are stored in different containers with different colors.. Most are colored (I can't see through it) that is why it would be easier for everyone when these are labelled accordingly. I WANT PICTUREMATE AND LABELWORKS because i'm too OC with my stuff and our home. It will also help a lot with my mom's office so that she could finally properly label her folders. Im the one who gets bothered by how her office is not that neat. And the Epson Labelworks will surely work with my MT washi tape collection. Gosh, i can think of endless things to use that labelworks. I WANT PICTUREMATE AND LABELWORKS because I am an artist and crafter who's currently (albeit slowly) transitioning from working on the dining table to finally creating my own small home office space. I have a lot of materials that I work with, including paper, rubber blocks, carving tools, watercolor paints and brushes, and colored pencils and having all of these materials can easily make a space messy. But with Labelworks, it will be a breeze to organize and put everything away because everything will be labeled. I won't have a hard time looking for my materials even if they're in boxes and drawers. I'd also love the Picturemate because I just got married last year and still haven't had the chance to put up our wedding photos at home. I'd definitely use the Picturemate to print all my favorite wedding photos, as well as all the photos we've collected since we got together and after the wedding, and display them at home. These two items will surely help make our little house into a pretty, organized, and memory-filled home. I WANT PICTUREMATE AND LABELWORKS! Because my boyfriend and I would have a great time with those things! We'd love to use those to print and label captured moments that we'd always want to carry. Printed pictures remind us of what happened in the past and what made it unforgettable. And because I know when we get old, all We have left to do is to relive and enjoy the memories of my lifetime. I WANT PICTUREMATE AND LABELWORKS so I can create photo scrapbooks of my two minis and label each milestone! I WANT PICTUREMATE AND LABELWORKS so that I can organize my son's things and my craft stuff. With the photo printer I can finally print out our pictures accumulated through the years, begging to be released from the hard drive, so that I can create scrapbooks. I WANT PICTUREMATE AND LABELWORKS! I'd really appreciate and loved to win those wonderful and very useful items! I just love to keep things neat and properly arranged for that what makes my life (and i belive others too) easier. It will really be a great practical gift for me and my fiance who loves to keep great memories through tons of physical photos being collected and displayed either to our albums, journals and even walls with its proper labeling anywhere for archiving purposes. Besides that, this will be a great blessings for us as well to be able to save more for our Bohemian Vintage theme on our Sunrise Garden Wedding this April 13, 2014. :-) where one of our pegs is to really pin a lot of photos in strings in our venue. So my hopes to win any of these is so high that I'm excited and ready to receive. :-D Either way thank you so much for this opportunity! I WANT PICTUREMATE AND LABELWORKS for my crafty and DIY stuffs especially for my daughter who is going to preschool this year. Definitely lots of printing and labeling to do! 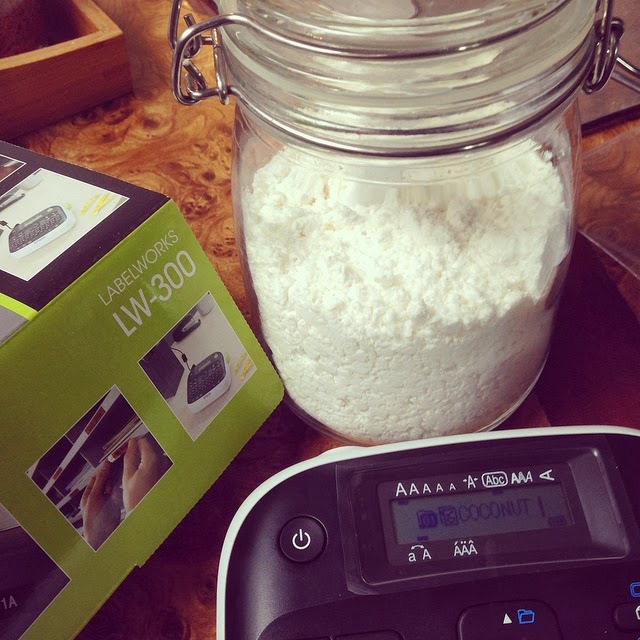 I WANT PICTUREMATE AND LABELWORKS to make my life easier to organize my baking supplies as well as my kids stuff. It will help so much also to make it easier for my stay at home husband to find things. To print photos at home will make it easier also to put up a printing business to help fund for my kids needs. As a busy single mom and law student, i need these gadgets to properly organize the tons of reading materials I acquire daily, and to be able to print and take with me pictures of my daughter. Wow!! !...Congrats to Epson for making this handy,and will ever be efficient new product they brought to market...A mother like me would like everything in order and always reminding everyone of every tiny little thing to be in place. They would always ask the whereabouts of almost anything.But if and if i could win that AWESOME printer, hahaha!!!! Every tiny little thing will be and shall be LABELLED as they are...Even every crayons my daughter will be labelled so she would not worry if she misplace it or mixed with her classmates..From Kitchen,Refrigerator,bathroom,..Work area will be organize.. It could also help my Ribbon Business ammm, in just starting and it would be very pretty..if i could print and label them.so i could skip the writing of names and prices.. I really hope i could be one of the very HAPPY winner of this AWESOME printer.. I WANT PICTUREMATE AND LABELWORKS because I misplace a lot of things all the time. I also am a fan of taking photos of my everyday adventures so it will be nice to have a printer on the go. I WANT PICTUREMATE AND LABELWORKS! When I saw this giveaway, I know that this is the answer for my OCness :) i pay attention to details such that, i want everything organized. I want to unleash the creativity in me and by winning these babies, Everything I need for my crafty needs is wrapped into this beautiful giveaway! I WANT PICTUREMATE AND LABELWORKS so I can have better labeled storage for my child's things and house equipments as well. Picturemate will help me print our travel pics and document my daughter's milestones. I want picturemate and labelworks because I like labeling and printing stuff! I WANT PICTUREMATE AND LABELWORKS for my scrapbook and my tools. Because of the busy schedule at school, I don't have the time anymore to cut paper and write labels. And also, so that my mom won't scold me anymore. HAHA! i want picturemate and labelworks!! because this will help a lot in my small business at home..pls pls choose me!! I WANT PICTUREMATE AND LABELWORKS! because I'm an OC small business entrepreneur mom who wants every little thing labeled and organize. I WANT PICTUREMATE AND LABELWORKS because I am crazy and meticulous with orgnizing and labelling things in our house. It will also helps unleash my creative side. I hope I win this awesome gadget. Thank you! I WANT PICTUREMATE AND LABELWORKS perfect for my new office! and this will be very useful in my scrap booking :) thanks in advance! I WANT PICTUREMATE AND LABELWORKS because this would be perfect for me as a scrapper and OC person!! I WANT PICTUREMATE AND LABELWORKS because we just moved into our new home and a lot of our things are still in boxes! Afraid to unpack because of the clutter it will cause. Labelworks will surely help me organize and finally get rid of all the mess! "I WANT PICTUREMATE AND LABELWORKS! Badly need this for my office! I have 2 kids and a house full of knick knacks and boxed waiting to be labelled! I WANT PICTUREMATE AND LABELWORKS! Because it'll "label" our relationship and be happy for the rest of our life! "I WANT PICTUREMATE AND LABELWORKS!" because i need to label all the wires in our home. I need to put if it is 110 or 220 for safety purposes. Because I have a child and of course my family and their safety is my number one priority. Being a mom who is a crafter and a bit OC at times, this would help me on my quest to have a more organized household. Oftentimes it's really the clutter (the small things) that is hard to organize. With this label machine it would be easy! I also am an avid scrapbooker and having a printer at home would make memory keeping so easier! I WANT A PICTUREMATE AND LABELWORKS! I am a mom who wants everything to be organized but it was a bit hard. Having kids at home, it was really a challenge. It would really a big help if all I can put labels to all our stuffs. 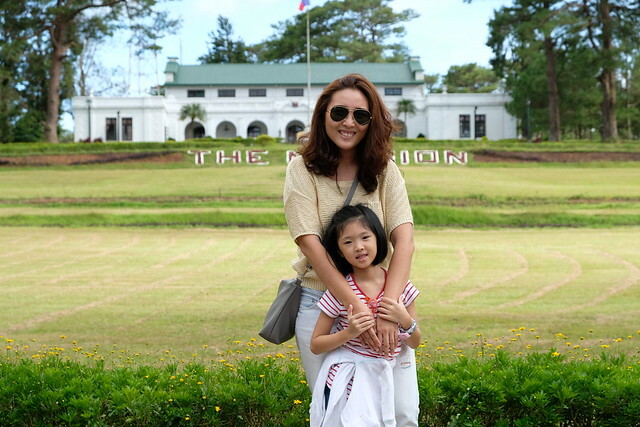 This is Marianne Primero Domingo. Such a nifty gadget for my personalized arts and crafts! I WANT THE PICTUREMATE AND LABELWORKS so I can label all my daughter's school supplies and not dread the upcoming school year! Here's to one step closer to being an OC mom! I WANT PICTUREMATE AND LABELWORKS so that as I grow up and learn new things, I could save these memories with art! I also want to document beautifully whatever there is in our lives, my family and me, for my parents aren’t getting any younger anymore. Cherishing these moments wonderfully would be the greatest thing I could give the future generation of our family to come. Please comment correctly or your entry won't be qualified. Please include your real name or your entry won't be qualified. I WANT PICTUREMATE AND LABELWORKS because these are nifty tools for a modern mom to document and organize every aspect of her life. The picturemate can be my best friend in preserving memories, while the labelworks can serve as my go-to gadget in making sure stuff are organized and properly labelled. I WANT PICTUREMATE AND LABELWORKS because it will be a good addition to my growing collection of school/ office and crafting supplies! Thanks for the chance, Cai! I WANT PICTUREMATE AND LABELWORKS so i can organize and put pretty labels on each of my craft containers. This will surely put everything in our house in order. Picturemate on the otherhand is a convenient product that will print all my fun memories with families and friends easily without me going to the mall to have it printed. I WANT PICTUREMATE AND LABELWORKS! im also a crafty and oc mom, always organizing my kitchen and tabletops. i love printing pictures of my son as well for my scrapbook! "I WANT PICTUREMATE AND LABELWORKS! because I am also an OC mom and I want things always in place who wants always a messy house and I want to win also the picturemate PM245 as i can print our family photos right in my comfort of our home. I WANT PICTUREMATE AND LABELWORKS because I simply want to have these all! I WANT PICTUREMATE AND LABELWORKS! 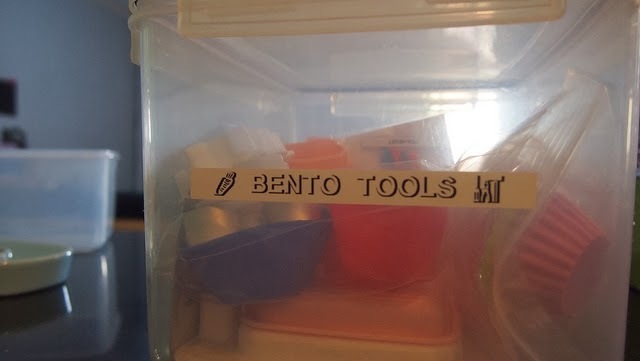 It will be a good practice to label everything just so it'll be helpful a lot in running a house/home. I would like to practice it as early as now that my son is just 9 mos old. I feel you when you said that the PictureMate was very useful especially when you got tons of pictures and that you're too busy to go to the Mall just to print those. It will really save me the hassle of going. I'd rather relax for a while from being a bfing Mom and being a wife. But memory cards cant be trusted and not reliable all the time. So prone to virus. Or is it just the way I use it? :D Oh well, I am fond of taking pictures of my baby, PictureMate will be so great to have. I WANT PICTUREMATE AND LABELWORKS! As a person who has been addicted in journalling and documenting my life, I badly need these two tools. My personal laptop just went to heaven a few months ago, so I cannot use my printer anymore. Of course I didn't give up on my journalling. Now I have to drop by a decent computer / printing shop to have my photos printed BEFORE I can even begin to write on what happened to my day. It's a hassle but I am hoping having a picturemate can fix that. Labelworks on the other hand, can help me not only in organizing my things, but in my journalling and my arts and crafts project as well. I am really hoping I could win! I WANT PICTUREMATE AND LABELWORKS because I am simply a craft addict! Crafting keeps my sanity and when you're so into this, you have piles and tons of things to organize..and this is why this picturmate and labelworks come in very handy! I WANT PICTUREMATE AND LABELWORKS! Because I'm an OC mom and I love taking pictures (I can now print it using PictureMate) ! I WANT PICTUREMATE AND LABELWORKS so I can print the photos of my preschool students and organize their projects. I WANT PICTUREMATE AND LABELWORKS so I can use it for my kids in class!! I'd love to not only label all our materials but have photos for them to bring home as well! I WANT PICTUREMATE AND LABELWORKS as my partner to create a wonderful photos which im loving now (photography)! The print-outs using PICTUREMATE AND LABELWORKS will surely create a good and high quality photos that I can use in creating an album of my adventures! I WANT PICTUREMATE AND LABELWORKS because i love scrapbooking and this is a must have for fanatics like me! I WANT PICTUREMATE AND LABELWORKS! I have been itching to organize and label my baby's stuff! Labelworks would surely be a great tool to aid me in doing that. I would also like to print lots of photos and go back to scrapbooking. Having picturemate would be perfect for that! "I WANT PICTUREMATE AND LABELWORKS because i love scrapbooking and for sure it will be very helpful for me to keep and print to those precious moments of mine. I WANT PICTUREMATE AND LABELWORKS to help facilitate my OCD. I WANT PICTUREMATE AND LABELWORKS because its time that I explore my creativeness (If I ever have that haha) what I'm sure of is I want to print every picture that I took, though its ok that everything is digital now its easy to save pictures and you won't lose them but still I want something printed that I can decorate and display any where in our house hahaha LABELWORKS will help me keep everything organize I have a lot of boxes in my room and I think its time to label them so I don't need to open every box just to check if what Im looking for is there. I super want this stuffs its would be super cool to have them, Hoping that your blog will win so that we readers have a chance too. yipee!!! Good Luck to all of us!!! I WANT PICTUREMATE AND LABELWORKS!" because it will help me to print all my baby photos from the time he was born till now he growing up. and to keep my things here in organize and labeling. I WANT PICTUREMATE AND LABELWORKS because I have a need to desperately label things and print out all my baby's photos! Picturemate will surely make our favorite memories more meaningful by turning them into pictures that we can display in the house even when I dont have time to go to malls to have pictures printed out. No more lines and mo more waiting! Everything will be at the convinience of our own home. And it will last for a loooong time! No more fading or discolored pictures. Labelworks will make our labels look clean, uniform and professional. It will give us that polished look. And it will be a breeze to organize since labeling is so so mich fun. "I WANT PICTUREMATE AND LABELWORKS!" BECAUSE it surely give us more enjoyable moments by creating and adding a funny caption on our pictures! I WANT PICTUREMATE AND LABELWORKS because I love arts, crafts,and photography. It will help me organize EVERYTHING, and it's prefect for printing precious photos of my baby and the whole family. I will definitely enjoy making scrapbooks for my little one. I WANT PICTUREMATE AND LABELWORKS because i do love making labels on my items, it would make my work more easy, it'll be of great help for my daughter's stuff, from it i could display photos instantly without delay, it'll be more fun if i could have these! I WANT PICTUREMATE AND LABELWORKS because this is just what I NEED. I am a working mom(12hrs day-shift) and a full-time mom (night shift) without household help/yaya. I also do part-time online selling (sells baby/kids stuffs). For years, I always wanted to get things organized from the kitchen to the bedroom, to my products which I sell online and my son’s stuffs like crafts,books,toys,etc. Sometimes, I get to work at home too so I wanted to keep my things pretty tidy. At this point, we cannot afford these gadgets but if I get to win, sure it will SAVE us thousands of bucks, time, effort and well, space in the bedroom and in the computer disk! (I’ll get to print those pending photos in the “TO PRINT” folder). Yay, I’m excited! This could be the cure to my OC-ness. Good job Epson! "I WANT PICTUREMATE AND LABELWORKS!" because my eldest is turning 3 y/o this coming April and I was planning to do a DIY birthday decor for him and giveaways also. I WANT PICTUREMATE AND LABELWORKS because those will be my perfect partners when I'm going to start my Project Life next year. I WANT PICTUREMATE AND LABELWORKS because can really make organizing and labeling our things more fun and enjoyable. I love their unique and interesting features. With it, I can treasure and print all our memories easily. I also want to try printing on ribbons, and give printed ribbons to my kids' classamtes and teachers as souvenirs. It looks really cool and I know they would love it too! I WANT PICTUREMATE AND LABELWORKS! I want to create a photo album or a scrap book of my kids, labelling all important events. Hope to grant my wish. I WANT PICTUREMATE AND LABELWORKS beacuse its a fun unique way to organize and sort things in my workplace and at home; especially my kids stuff. I WANT PICTUREMATE AND LABELWORKS! Label works will definitely work on our crochet product while picturemate can be used in my photo collections to be printed. I want PictureMate and LabelWorks because its going to help me a lot in organizing and sorting my kids stuff and mine as well. PictureMate can come in handy when we will be needing ang rush prints for some documents or pictures for the kid projects as well. I WANT PICTUREMATE so I can print years' worth of photos I have saved in my hard drive. :) And LABELWORKS so I can label my toddler's things as she goes to school (her very first year) this June 2014! I WANT PICTUREMATE AND LABELWORKS so that I can organize the things of my kids and our home stuff. use of this Epson Picturemate the memomies will be more magical."